Gridsmart Processors - J.O. Herbert Co., Inc. The rugged industrial hardened GRIDSMART Processor comes with a perpetual license to the embedded GRIDSMART Engine that delivers intelligence to the intersection by tracking and building 3 dimensional (3-D) models on all roadway objects. The GRIDSMART Processor is available in horizontal or vertical options that power and communicate with your GRIDSMART Iconic Bell Camera through a single wire Power Over Ethernet (POE) connection. Each Processor is inherently networkable with a Wide Area Network (WAN) port and will interface to any brand of traffic controller with 1070/2070, NEMA TS1, NEMA TS2, and ITS options. 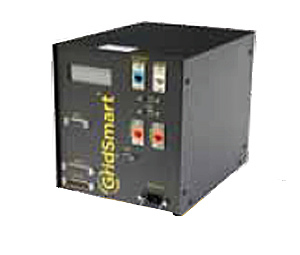 The GRIDSMART Processor is configurable through the complimentary GRIDSMART Client and can be set up at the intersection or remotely through your WAN. USB ports empower you to add a USB Hard Drive and record images to be viewed on the Virtual DVR inherent in the GRIDSMART Client.